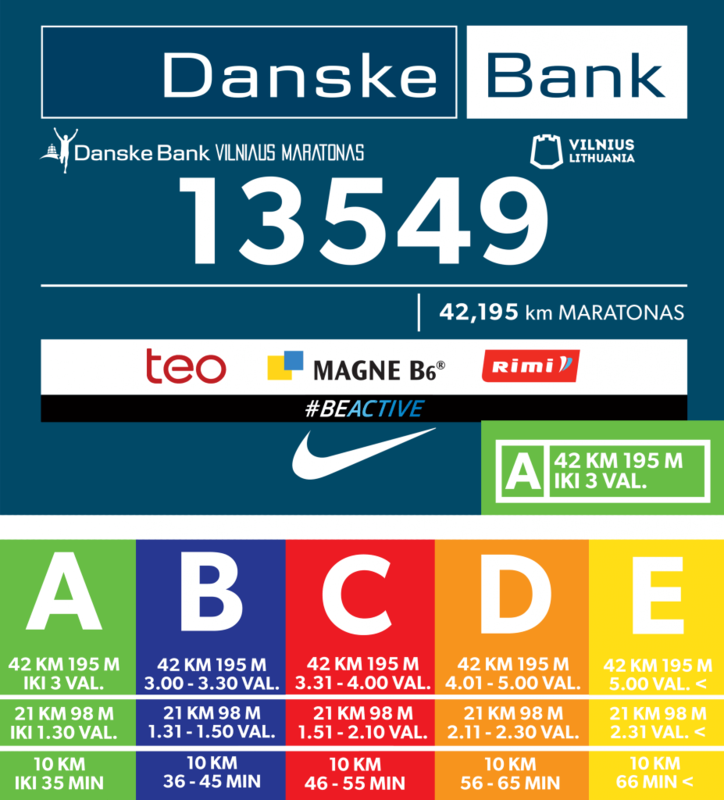 If you are participating in marathon, “Teo” Half Marathon or “Magne B6. 10km” run, when picking your starting package up you’ll receive a sticker with your estimated finish time. Before the start all the participants will be lined up according to the stickers they have put on their race numbers. Sticker must be put on the right lower corner of the number (as seen in the picture). Your bib number must be attached on the front side of your T-Shirt!